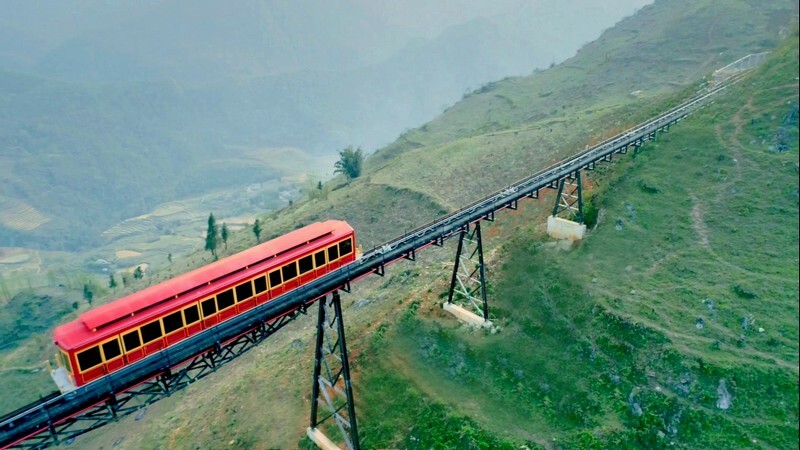 The most modern Muong Hoa mountain railway connecting Sapa with Fansipan cable car station invested by Sun Group will be officially opened on March 31, 2018, contributing more Lao Cai is a new special product, while increasing the experience for tourists when coming to Sapa. With a total length of approximately 2 km, this is the longest mountain railway in Vietnam to date. Depart from the MGallery hotel in Sa Pa town and finish the journey in the Fansipan cable car terminal area, passing through two tunnels and four viaducts at a maximum speed of 10m / s, capacity of 2,000 passengers per hour, Muong Hoa mountain railway trek reduces the travel time to 4 minutes instead of 15-20 minutes by car on a rugged mountain road. Two train cars designed and manufactured by Garaventa (Switzerland). 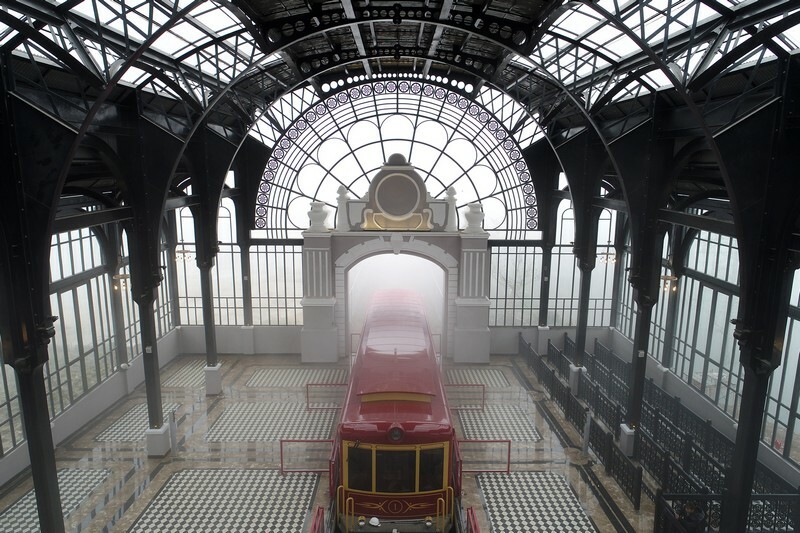 Each car is 20 meters long, 3 meters wide, weighing up to 25 tons, accommodating 200 guests. 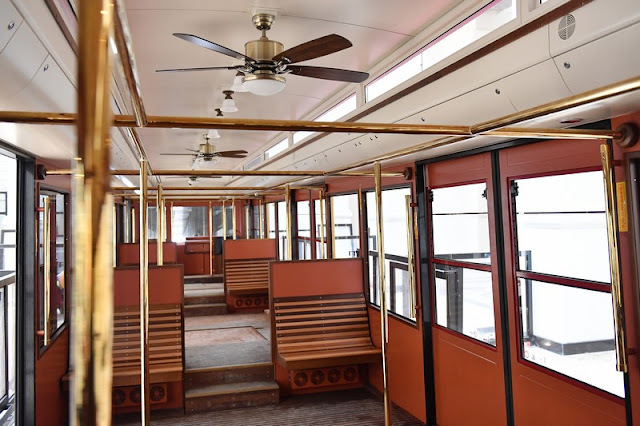 The interior of the Muong Hoa mountain trek train reminds us of classic, elegant European coaches with lighting systems, antique ceiling fans, braces and gold-plated metal details. The hull is arranged transparent glass window, allowing visitors to capture the picturesque landscape of the Northwest Forests. 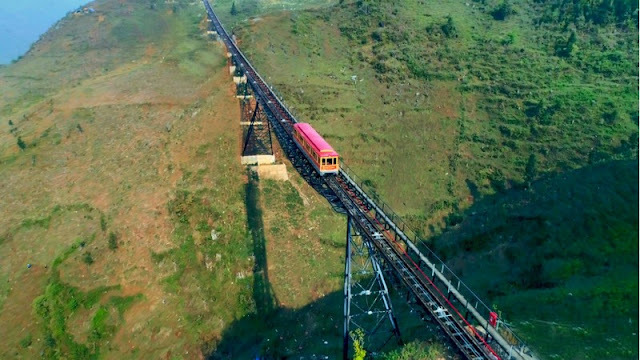 The journey to explore the Northwest by Muong Hoa mountain trek is like a movie with breathtaking footage. In that film, visitors are not overwhelmed by the ancient French architecture, elegant station to Sa Pa designed by world renowned architect Bill Bensley, with dome, high ceilings and decorative details. imaging rails, steering wheel, railroad badge ..., was immediately attracted by the elegance and sophistication of the interior of the car. 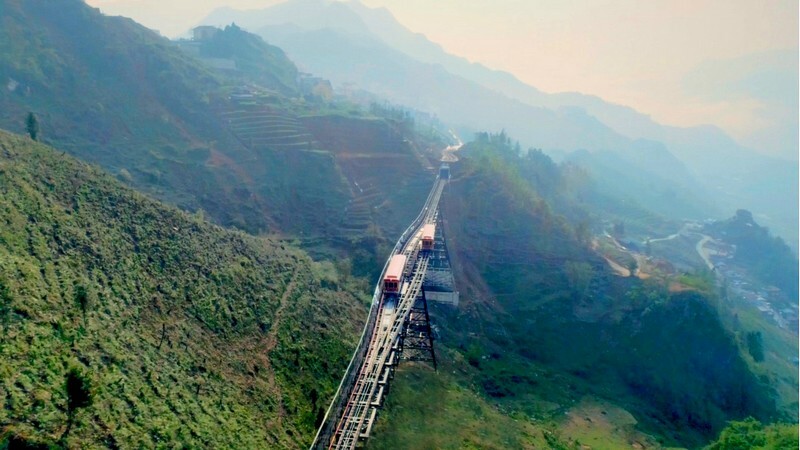 The train passes through the mysterious tunnels, the ice on the bridge looking down, in front of the visitors is the majestic nature with mountains and forests, Muong Hoa valley and peaceful villages, quiet in the early morning, in the afternoon. Located in the tourism community of Sun World Fansipan Legend, the Muong Hoa Mountain Railroad contributes to perfecting and diversifying services, unique travel experiences for visitors to the northwestern highlands, exploring the city fog Sa Pa.
From the station to Muong Hoa, you will continue to explore Sun World Fansipan Legend with cable car. Pass through the Hoang Lien Son mountain range spectacular beauty from the middle of the sky, conquering the legendary Indochinese house and worship the spiritual cultural complex on the Fansipan peak, with many works such as Dai Buddha statue Amitabha largest in Vietnam, Kim Son Bao Thang Tu with many statues of Buddha was created public works, La Han with 18 bronze statue La Han bronze height 2.5m, Bich Van Thien, Quan The statue The Bodhisattva ... journey up with Fansipan of visitors is marked by the experience and lively emotions. In addition, Sun World Fansipan Legend is constantly opening up for new travelers exploring the culture, landscapes and people of the Northwest, through unique festivals such as the opening of the Fansipan expanse, which runs extends to the end of March of lunar calendar, Do Quyen flower festival (from 7/4 to 1/5/2018) and many festivals take place throughout the year. 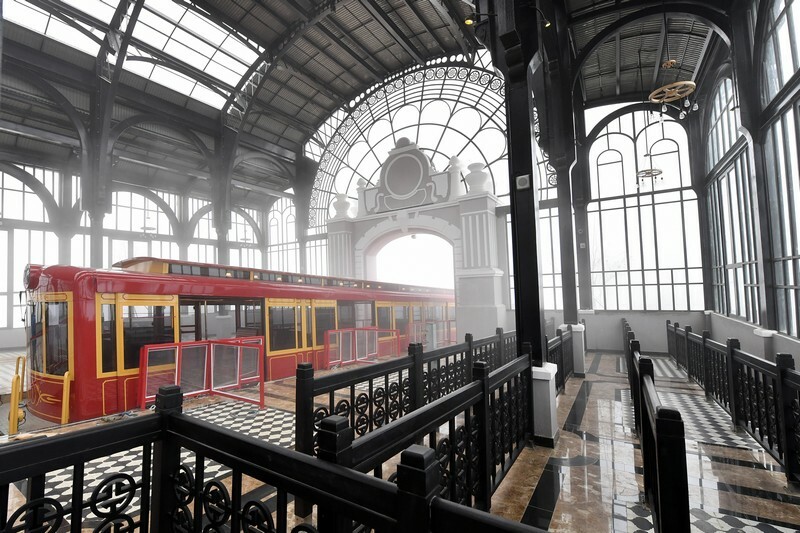 By launching the Muong Hoa Mountain Rail Link connecting the five star MGallery Hotel (scheduled to open in late 2018) will open in Sa Pa with Sun World Fansipan Legend, a recreation and recreation complex, shopping and exploring tourism in Vietnam in general and North West in particular has also been shaped. Lao Cai tourism has more international products, contributing to creating more jobs, improving the lives of ethnic minorities, while increasing both the quantity and quality as well as the expenditure of tourists up with the highlands.